Jim Alexander spoke with me many years ago at AMO Kenosha. 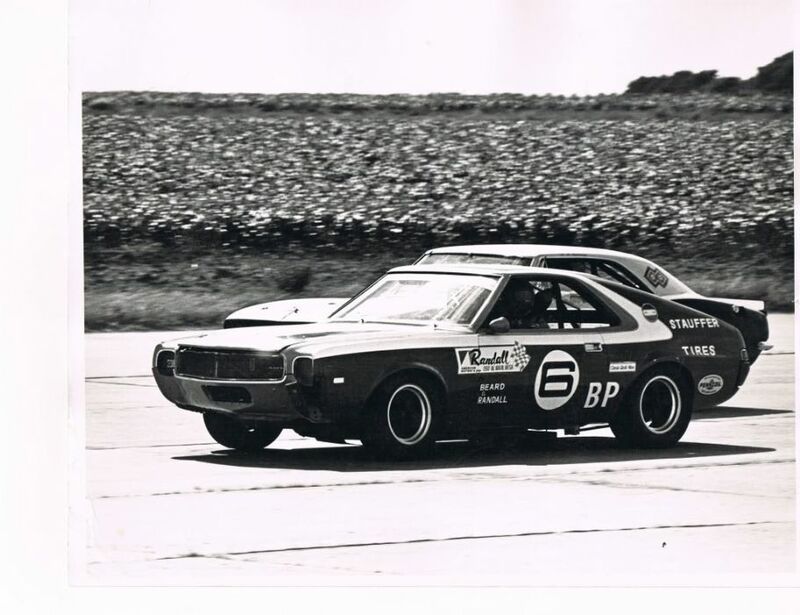 I have a 68 AMX vintage car, built similar to the TEAM car, but no real 'history' other than vintage races. He declared back then that he and Phil Tony traced the car back to Randall, and it had been crushed, possibly by accident. 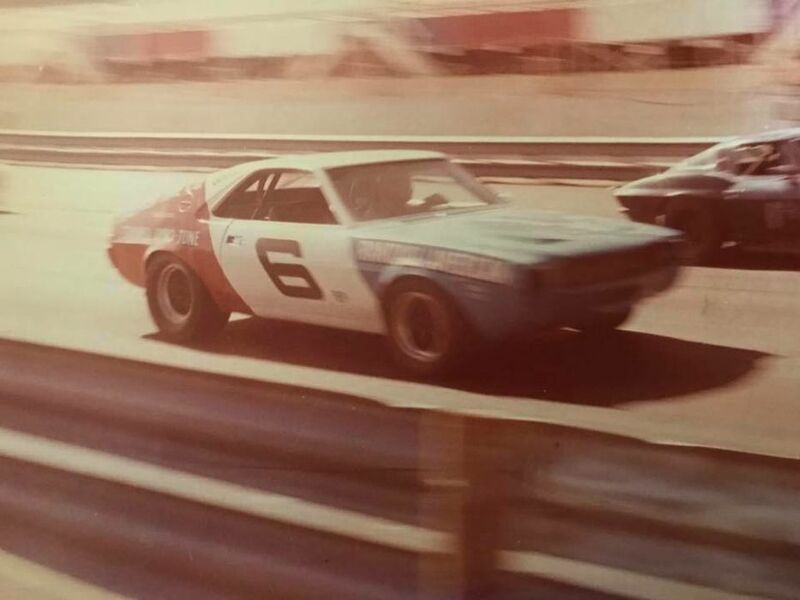 After the 69 season, it was run by an independent guy out of Oklahoma, I think, and was #6. Future ex-wife sent it to the next owner. Thanks Klvn8r. Thats the story I have heard. I'm sure it was avery used up race car by the time they got done with it. It went to #6 when Ike Knupp ran it towards the end of the season, then to the independent guy. Looks like the Randalls kept it that way too, the 2nd picture in the thread is probably soon after the Randalls started racing it. I'd still like to find some more pictures of it. The rule book is on the Camaro site and spells out could and couldn't be done on it.But being a body in white would have gave them some creative possibilities for sure. My main questions was the interior, trunk, and eng compartment all the same gray? And did they use the stock gauges or aftermarket inside the bezel. I notice the hood pins are in the same spot as the T/A Javelins, same with the bumper screen and cut opening. I believe the second owner was Brad Booker (or Brooker, as I've seen it typed both ways) and I think that is when 60, became 6. Booker was out of Oklahoma, and I was given a print of the car sitting in the pits at Green Valley Raceway, Ft Worth, Tx. If you're on the Camaro group forum, you've probably seen some of my posts there too. Lots of good info over on the Camaro forum for sure, I enjoyed reading your posts Klvn8r. After reviewing most of the photos I have, I'm pretty sure the car was #6 by the end of the season. Maybe it coincides with the "union 76" sponsor. That decal appears on the rear 1/4, replacing the 343 CI. All of the TEAM stickers are still in place then as well. 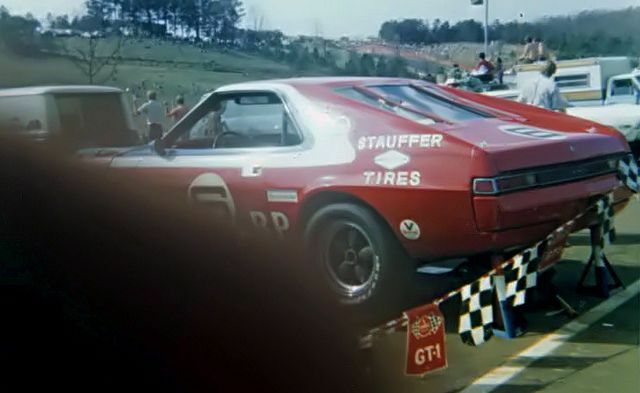 I also believe that the 2nd owner is when the "Stauffer Tires" decal showed up, replacing the Union 76. Also the "BP" went behind the meatball, instead of in front. The first picture below shows it as #6, BP in front, union 76 decal and TEAM decals in place. The second picture is from Ike Knupps driver profile, same decal layout. 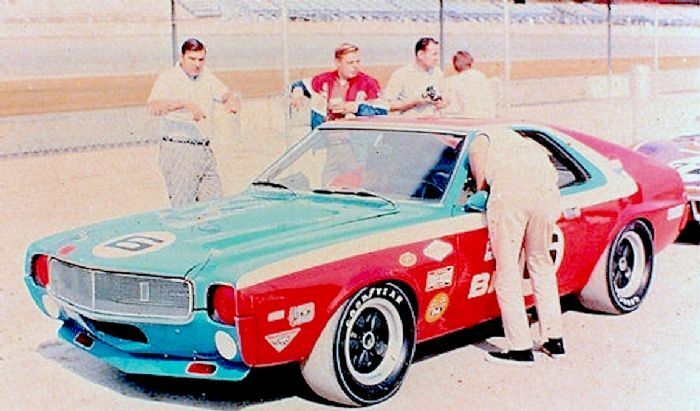 Picture is supposedly from Daytona 1969 Nov,30th. Both pictures could be from the same race. I believe this is may be your pic Klvn8r. Shows the car in the pits. Note the lack of Union 76, addition of Stauffer and BP moved.Although it looks like the front fender is red and has no white stripe. The second pic is when Randall started racing it. You can see the bent bumper too. If you want pics of the interior contact Mike Randall in Chandler AZ. Thank you for the idea Slate, don't know what I didn't think of that sooner. Thanks to the miracle of Facebook, you can get in touch with people easily. Got this from the Randall Facebook page.